On June 3, the Fuego volcano awoke with violence, wreaking havoc on the lives of thousands of people in the wake of its eruption. This misfortune mobilized national and international initiatives and appeals. It also mobilized individuals in Guatemala who banded together in numerous gestures of solidarity to help the victims. A few days after the tragedy, a group of ATD Fourth World Guatemala members and friends decided to join these initiatives. They started an ongoing reading and culture program. 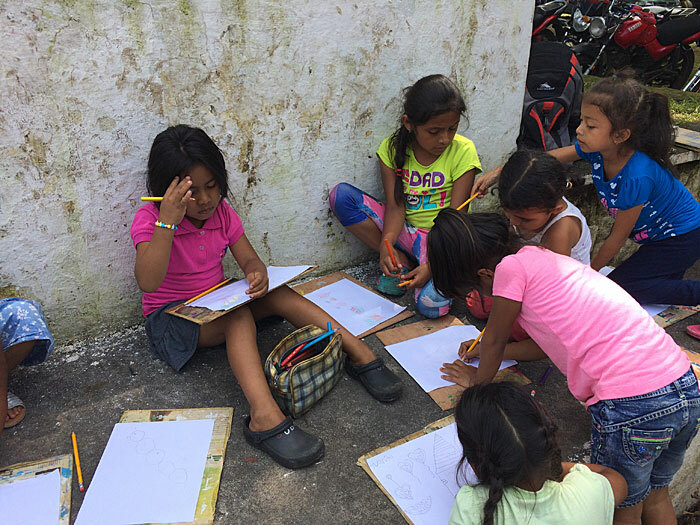 It was call “Biblioteca de Albergue” (Shelter Library), in an educational institute fitted out as a temporary shelter in the Escuintla area. ATD believed that a Street Library would be the answer to this need for all-around educational access. Moreover, the “Shelter Library” would highlight the importance of utilizing education to help fight extreme poverty and ensuring that no one is left behind, one of ATD Fourth World’s motivating principles. As a result, ATD set up a library every Wednesday morning in the emergency shelter of the Simon Bergaño Institute. Many facilitators from Escuintla and other areas of Guatemala joined in. These facilitators used books to encourage brainstorming, discovery, mutual understanding, dialogue between participants, and relationships of respect. The books they used represented a cultural symbol that participants were able to grasp with both hands and share with one another. Although many believe that material things are critical. 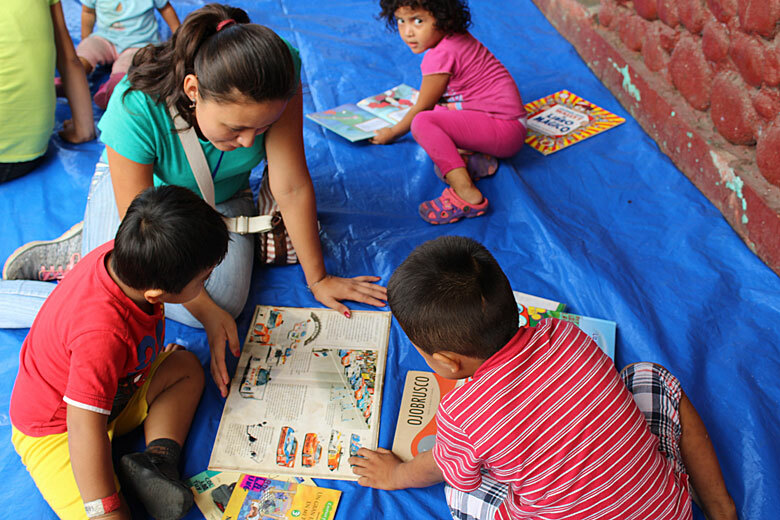 ATD believes that spending time with books or participating in cultural activities with children is more important. Many individuals, institutions, and donors provide for material needs. However, ATD does not see many others emphasizing the importance of spending time with those receiving books or sharing cultural elements with them. ATD sees its work as not only providing books, but also using the books to build relationships and share stories with children and adults alike. The Street Library also helps ATD and those participating in projects realize that families have other important needs as well. These include education and decent work. There are many residents in the shelter who do not know how to read. In fact, a resident in the shelter told ATD that because he did not know how to read or sign his name. He had to pay someone else to do it. ATD members who work in areas of extreme poverty know very well that families don’t voluntarily decide to live in high-risk places. The poorest families, however, have few options. It is clear that in this type of natural disaster. These families will continue to be excluded and will continue to face hardships. The same hardships they faced before the tragedy occurred. Worst of all, some families will return to the same places they lived before the tragedy. Even if those villages are considered high-risk areas. In fact, many families have already returned. If families and communities are to achieve change, it is imperative that they be involved in developing proposals for a sustainable long-term improvement. More information on ATD in Guatemala.